Whose data is it? Private or public conversation: you decide. Coracle’s Learning Line platform offers a liberatingly open and social learning experience and with that comes a responsibility for us to make sure we allow you to connect with other users to help your learning in an appropriate manner, whilst also keeping your data safe and secure. We take this responsibility seriously and we’re always happy to discuss our approach and hear your ideas if you think we should be doing something differently. One aspect that we want to highlight is what connections and conversations can happen on the platform, who can initiate them, how you might be alerted about them and what we do to keep your conversations safe. Data that you create on the Learning Line is yours. You are free to delete any statement you have created, or message you sent at any time. Who can see comments on the Learning Line? If you add a comment to a statement on your Learning Line then this is private to you. However, if you wish to share that comment then you can. You can share with a Group (so long as you belong to a Group) or to an Activity Moderator (mentor). Once a statement has been shared, the recipients can then add a reply for you. You can send messages to Activity Moderators / Mentors, and, if you are in a group, to other Group members. 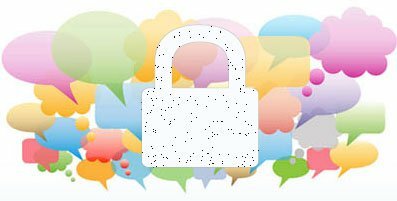 If you send a message to a Moderator then it is a private conversation between you and that person. If you send a message to a Group then it is an open conversation and anyone who replies to the message will be alerted of future messages in that thread. How can I check how many comments or messages I’ve sent? Your profile page keeps a record of recent comments and the aggregate number of comments and messages. You will receive a monthly email report confirming this number. How do I know I have a message? Messages are stored on your Message Line and you will see a yellow dot notification at the top of your homepage when you have a new message to see. You will also receive an email with the message, so you don’t need to go and check for new messages. When you receive an email notifying you of a new message you have two options. If you don’t want to receive email notifications then that is no problem, you can opt out of them by editing your email preference in Edit Profile.